Digitalization is fast progressing in every field and digital HR is becoming more and more indispensable. This is especially true with organizations becoming more virtual; employees demanding for control of the workplace and real-time employee analytics becoming critical for organizations. Ankur Warikoo, CEO, Nearbuy, decided to tell us about how the role of the HR department is drastically changing. It is vital to bring fundamental process straight to employees’ phones, tablets or laptops. It is a new paradigm for HR that embraces digital technology. Digital HR will enable easy-to-access online applications for recruiting, learning and development and talent management. According to Ankur, most of the content and processes that companies have adopted today come from the West. But many fail to understand that consumers in the West have the luxury of time and money, whereas consumers in India are rich in time, but lack the money. Similarly, for employees in the West privileges, make them happy. The start-up cultures of bean bags, free lunch and activities aren’t always the best for Indian employees. They would rather have pay raises and other conveniences. In the 1970s, two psychologists Daniel Kahneman and Amos Tversky discovered “cognitive biases”. It proved that humans are not rational creatures and that we systematically make choices that defy clear logic. Concluding thus, as humans we are terrible at deciphering emotions, but machines work differently. So, your systems will be much more effective if the analysis of data is done by a mechanic system and the judgment is done by humans. 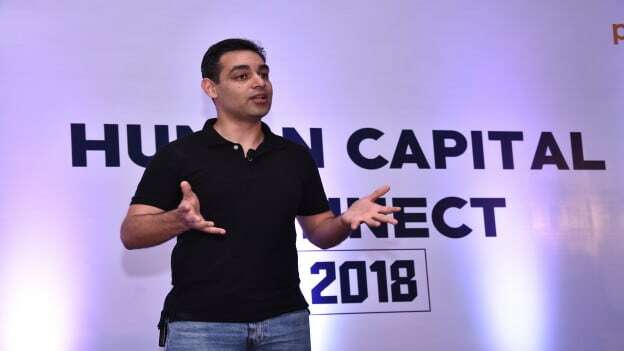 Ankur states, "HR department is the recruiting agency of the company, arranging off-site trips, parties and everything on the wellbeing of employees, decides payroll system, it's functioning at the back end most of the time and very rarely coming into the larger picture." The management should be active participants in initiatives taken by HR department and the organization should be personality driven. If there is no anticipation for the changes, then HR would just be a glorified department leading to system failures and goals of the organization would not be achieved. David Ulrich has defined the key role of Human resource functionality in his book Human Resource Champions as the four segments strategic partner, change agent, administrative expert and employee champion. These segments will help align strategies with business and foster system thinking and customer focus.